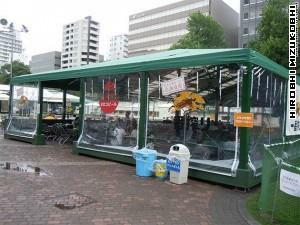 Odori Beer Garden(大通ビヤガーデン) started from July,18 2014 and goes on until Aug, 15 2014. This is the biggest beer garden all the country, where about 13,000 seats are available. In addition to four major Japanese beer companies’ beer gardens, Suntory, Asahi, Kirin and Sapporo, there are also some beer gardens by foreign companies. 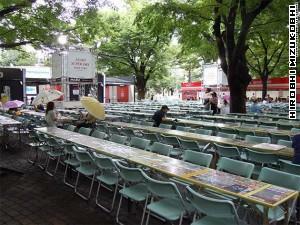 You will find some large beer gardens when you walk in Odori Park in these days. 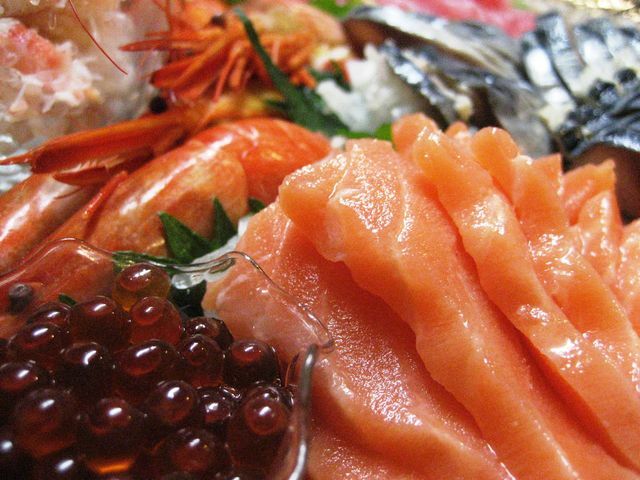 Only Asahi Beer Garden has an English menu. You will enjoy some beers for cooling-down. Basically, it is going to be crowded by businessmen/women after five, 17:00. Daytime and weekend are better for tourists. You may have a seat wherever you like and you get tickets for beer and food, or you can ask hall staffs for tickets. 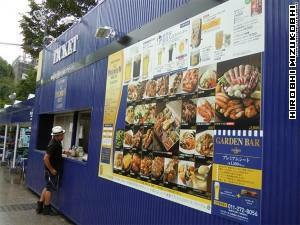 Unfortunately, there is no English menu in Suntory Beer Garden. 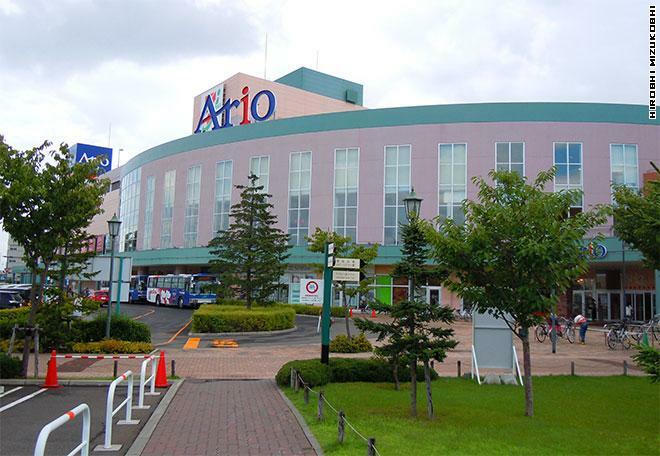 As well as Suntory beer garden, you may have a seat wherever you like and you get tickets for beer and food, or you can ask hall staffs for tickets. 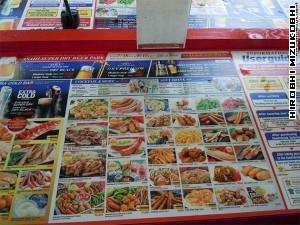 Asahi is the only Beer Garden that has an English menu and instruction for order. The naming, ‘Yoroko-Beer’ sounds like ‘Yorokobi’, which means happiness or joyful in Japanese. Surprisingly, even if Kirin is the biggest beer company in Japan, they don’t have any English menu. WoW! 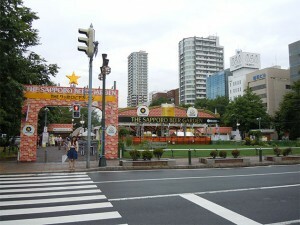 We have found Sapporo Beer Garden at last. It is so nice to have some beers and foods surrounding the fountain that you feel cool air. But! I’m so sorry There is NO English menu here, again. This is really sad. There are many beers and foods all over the world. There are several kind of German beer and foods.